Your children need to know they are front and centre in both your lives. Sending this message of undivided love begins with considering doing the unthinkable; reconciliation. This shows your children they matter; that they are significant and loved by their parents and stepparents. When I tell people about my co-parenting in harmony situation, how I've been on a beach vacation and cruise with my husband's ex, experiencing peace in everything we do together as a blended family, I often get compliments wondering what are the right steps to achieve this harmony, but I also get those who say, "yea right, never in this life for me." Both co-parents and stepparents play a very important role in their children's life, whether you want them to have an influence or not. It's not a competition, it's teamwork -- a partnership. After all, it doesn't matter who tried harder, who sacrificed more, or who deserved the credit. What matters is that your children be in a healthy environment where they can thrive in their childhood, and having been shown how to work through differences amongst others, are examples they will learn from in order to have successful communicative relationships as adults. Mindful co-parenting involves staying child-focused, living in the present moment where you can find your power in the now, and leaving the past in the past. Each strenuous situation seen through your eyes, is reflected into your children's eyes, so I encourage you to envision the images that unfold in front of your children and the long-term impact it has on their minds and souls. Being in a constant state of anger and resentment clouds your judgment and never leads to the path of healing. So then what is the first step? The answer: communicating effectively as co-parents. Ask yourself, would my children appreciate the negative tensions that you allow to flow through their lives? Hopefully, the answer is: No, I want growth and progress for them, and for me. Therefore, it's essential to step outside of your own feelings and accept that in the beginning of the co-parenting arrangement, there will be initial feelings of resentment. I can personally vouch for those initial road blocks and frustrations, however, they must not hinder the peace that everyone within the family deserves. A business tone is the best step to begin the communication journey, as it promotes the notions of respect and understanding. This does require an enormous amount of effort and patience. However, in those moments, halt your inner negative reactions and tunnel vision into the future. Think of the possibilities, the ability to make these conscious decisions that will shape your co-parenting relationship, the ripple effect upon your child's life, short-term and long-term. Change is a part of life, divorced or not. Forward thinking is an asset that is within the palm of your hands. It's the tone in your voice, the actions you make, and the words you chose to say. Believe in yourself and your qualities as a parent. Children feel safe knowing their parents love them and are doing their best to co-parent in harmony, allowing them to manage these familial transitions easier. Remain child focused rather than on past challenges; you and your child will lose. 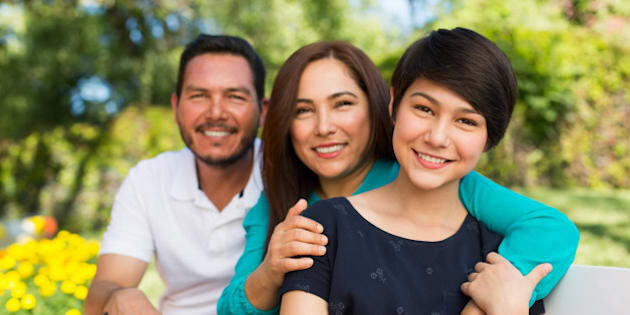 It is the co-parents 100% responsibility to make every possible effort to manage their emotions and reduce conflicts to the bare minimum, as children love to see their parents, stepparents, relatives, and grandparents show up and cheer for their accomplishments, sporting events, and especially at their important milestones in life. After 30 years, I know that co-parenting in harmony had a significant long-term positive impact in our blended family, relationships and especially on our son. 12 long-term positive effects your children will experience through co-parenting in harmony. 1. Children feel loved and that their emotions truly matter. 2. Children's behavioral outcomes are positive and their socio-emotional development becomes well-balanced for an enjoyable childhood and a healthy upbringing. 3. Children regain self-esteem and confidence, and express themselves when they feel the need to communicate. 4. Children feel they have a voice to openly communicate without fear. This will reduce their level of anxiety and fear. 5. Children admire their parents and are proud that they encompass class, dignity and respect with the other parent(s). 6. Children maintain a strong bond between both parents, helping them to develop healthy attachments. 7. Children freely share a connection with their stepparents with no shame or guilt. Where both parties can easily continue to bond and build fortified relationships. 8. Children freely love their parents equally and stay connected without the feeling of betrayal and fear. 9. Children respect their parents and everyone else in the mix, and do not carry feelings of resentment or anger into adulthood. 10. Children do not feel rejected knowing that their parents are making a conscious effort to co-parent in harmony. 11. Children perform with ease at school and within their day-to-day activities. 12. Children feel that he/she is part of the family and no longer feels responsible to fix things between their parents or protect one of their parents from the other. Co-parenting in harmony -- everyone in the mix will benefit from it. Love always prevails. You feel stuck and just don't know where and how to co-parent in harmony Download my free e-book, Top 6 Tips to Co-parent in Harmony http://annagiannone.com/e-book/. Anna is a first person advocate for Co-parenting in Harmony. As a child of divorce, stepmom, and now a proud Nana, she has 30 years of personal co-parenting experience and helps others create healthy and emotionally safe connections. Anna is a Certified Master Coach Practitioner who specializes in Co-parenting and is an International Best Selling Author: Co-Parenting in Harmony: The Art of Putting Your Child's Soul First. Anna offers solution-focused and collaborative approaches for challenges of co-parenting and stepfamily life to create positive changes. To learn more about Anna's work, check out her http://annagiannone.com/.